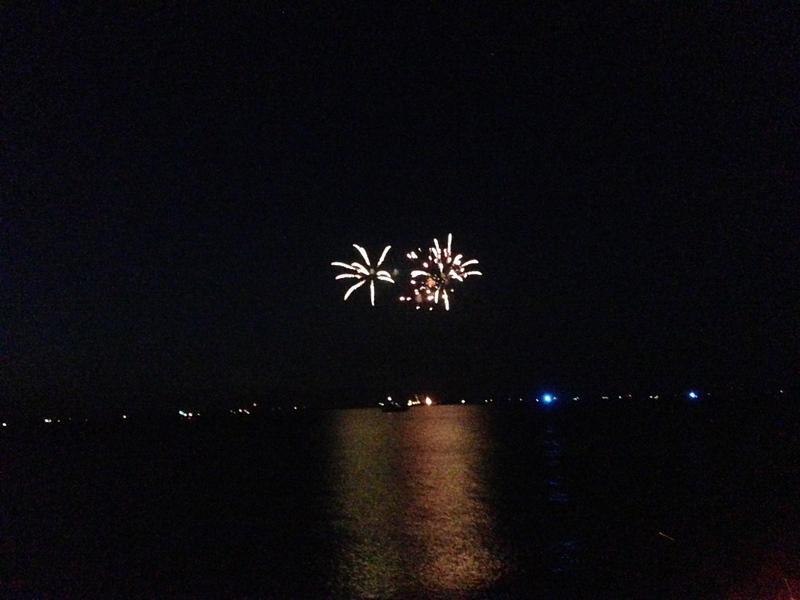 We had a great July 4th celebration last night. Happy 237th birthday USA! 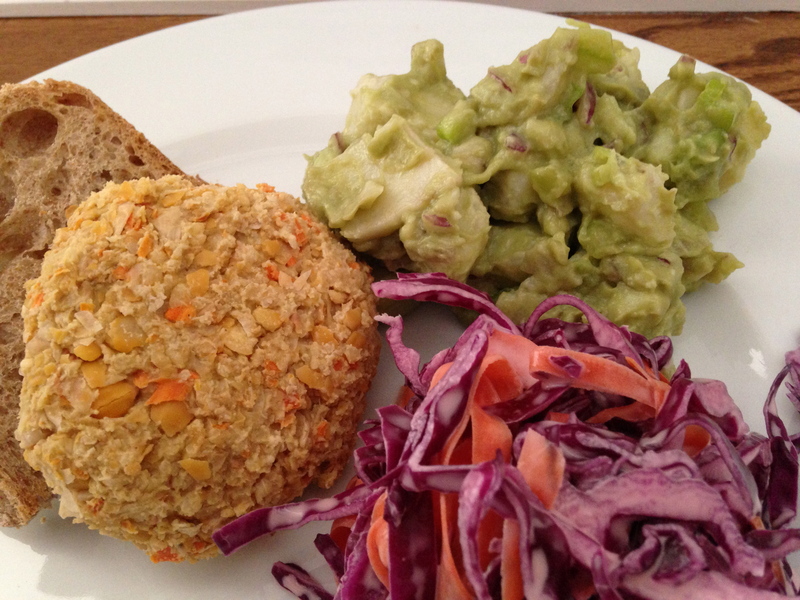 For our party, I made two of my recipes chickpea burgers and deli-style cole slaw and this creamy avocado potato salad from theppk.com. We also had a big fresh salad, homemade ice cream in cones and tons of fruit. Here are my adaptations for our party of 8! Line baking sheet with parchment paper. Make the flax eggs. Place the onion, garlic, and carrots into the processor and chop finely. Pour a small amount of olive oil into a pan and turn the flame on to medium. Pour the vegetable mixture into the oil and cook for a few minutes. Turn out into a mixing bowl. Place the chickpeas into the processor and pulse until just processed. It is ok if there are still some whole ones. Add the chickpeas to the vegetables and add the quinoa flakes and flax egg. Mix well and season with nutritional yeast, salt and pepper. Taste and adjust. Form burgers and place on a baking sheet. Place in the refrigerator for at least 30 minutes. Bake in a 400 oven for 10 minutes on the first side and then flip to cook on the second side for another 5 minutes. Whisk the together the dressing ingredients in the bottom of a big mixing bowl. Shred the cabbage as thinly as possible. Peel the outer layer of the carrots and discard. Keep peeling into thin strips. Drop the cabbage and carrots into the bowl and mix with the dressing. Refrigerate for at least three hours, mixing every so often. Peel and cut the potatoes into small chunks. Place them in a pot, cover, and bring to a boil. Cook for 15 to 20 minutes until potatoes are easily pierced with a fork. Don’t overcook; the potatoes should be al dente. Drain and set aside to cool. Cut the avocados in half, remove the pit and scoop the meat into the food processor. Add the lime juice, water and salt. Puree until smooth. Cut the onion and cucumber into a small dice and thinly slice the scallions. Add to the potatoes and mix together. Add the dressing and mix well. It all sounds so yummy! The burgers look extra perfect! it was the perfect vegan barbecue!